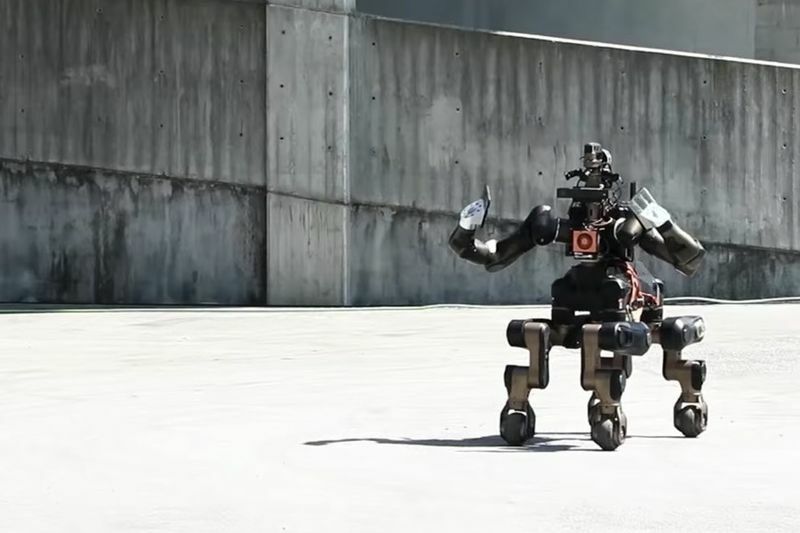 The Centauro robot consists of a four-legged base and an anthropomorphic upper body. This hybrid of robot-human and robot-horse is designed to rescue you from disasters, and it is capable of performing robust moves, and harsh interactions that may be necessary during disaster relief tasks. It is also able to break pieces of wood. The Centauro project aims at the development of a human-robot symbiotic system where a human operator is telepresent with its whole body in a Centaur-like robot, which is capable of robust locomotion and dexterous manipulation in the rough terrain and austere conditions characteristic of disaster. The Centauro robot has flexibility in its limbs, which makes it useful among others, each of its limbs can rotate and allows the robot to take various shapes and postures for different tasks. It can crouch just like a spider while operating the tools and can be in an upright wheeled position for moving around a designated area. There will be a human operator that will control the robot intuitively, using a full-body telepresence suit that provides visual, auditory and upper body haptic feedback. There will be rich sensors that will provide the necessary awareness and the robot percepts and suggested actions will be displayed to the operator with augmented reality techniques. We're looking forward to seeing more of how the Centauro integrates full autonomy, supervised autonomy, and telepresence control. For now, check out the robot in action, below.